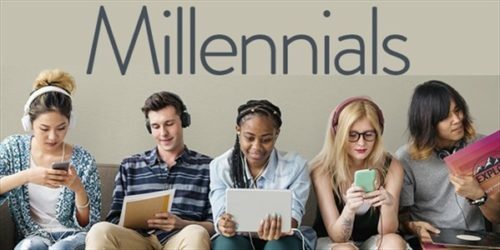 There is no question that Millennials or Generation Y consumers (born between 1980 and 2000) are an unusual breed, with very different values, buying habits and attitudes that confound older generations. However, the most noteworthy trend is their decreased desire to own things or buy them through traditional channels. Instead Millennials are obsessed with having a memorable experience, which will have a reverberating impact on positioning brands in the future. They are just not buying stuff like other generations. • 78% of Millennials would rather spend money on an experience or an event over buying something desirable. • Most (69%) said they believe attending live experiences helps them “connect better with their friends, their community and people around the world”. • 83% of respondents said they participated in a “live event” in the past year. • Looking ahead, 72% said they would like to increase their expenditures on experiences in the coming year. One company that has successfully capitalized on this growing desire for travel, dinners and engaging activities is Airbnb. Their promise goes beyond affordable accommodations; it is all about experiencing the lifestyle and charm of a local culture. Even big banks have recognized the opportunity to offer new experiential services that appeal to these Millennials. JPMorgan Chase recently launched its Sapphire Reserve, a premium credit card that offers generous rewards for spending on travel and dining. They positioned this brand as a “card for accumulating experiences”, and it has become a big hit with Millennials who today represent more than half of their cardholders. So what has caused this dramatic change in spending habits that have led to this emerging “experience economy”? Probably the most influential event was the devastating crash of 2008. The repercussions were severe and broadly experienced – less spending as wallets were closed, job layoffs including the parents of Millennials, losing life savings, etc. Millennials obviously took note of the world crashing around them, and they haven’t forgotten. They don’t want to suffer like their parents and grandparents did. Today they prefer access over ownership. In particular, since younger consumers have more debt, fewer assets and less job security than previous generations, they don’t want to own as much and strongly desire more flexibility. This terrible Recession of 2008 led to other related trends that will deeply affect how brands will be positioned in the future. One is the “sharing economy” which is linked to this growing desire for flexibility. The benefits are especially meaningful to Millennials – reduced waste, more authentic experiences and convenience. Shopping has changed too. Not just more purchasing online, but shopping with a conscience and desire to reward a brand that is giving back to society. This often means buying less yet with good quality. Millennials are also sensitive to the environment and well-being of our planet. For example, they are very aware that most clothing goods are made overseas where workers are often not treated fairly. Another influence for new shopping patterns is the end of scarcity, or the overabundance of almost everything online where we can find and own practically anything we want, at any time. Hence owning something in the traditional sense is becoming less important. The motivation behind selecting a product or experience is different today, as well. Instead of just a sense of pride from owning a product, younger consumers are more interested in how a product/service connects people to something or someone, what they can do with it that is worthwhile, what they can tell others about it, and finally what having it says about them. What can brand marketers do to capitalize on these trends? In addition to offering flexibility that will embrace Millennials’ passion for individuality and their phobia for commitments, transparency is critical. One example of a company that has successfully made transparency changes to appeal more to Millennials is ConAgra. This food giant simplified its recipes and eliminated all artificial ingredients from many of its snacks and ready meals, clearly signaling it to younger customers who now account for 80% of its growth. Brands must promise more than functional benefits in the future. Engaging customers with a related activity that offers a relevant emotional appeal, a customized version that acknowledges individual tastes and an authentic experience will be crucial for success.